Northeastern Utah Mountain Bikers, NUMB, is a growing mountain biking organization located in Vernal, Utah. NUMB works with local businesses, government agencies, and the community to promote a safe mountain biking experience for all mountain bikers. 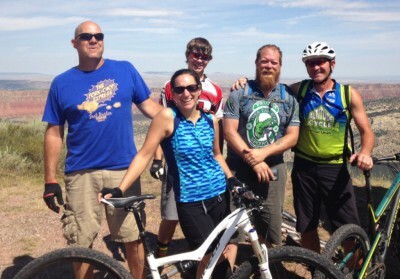 NUMB reaches out to the community to teach safe mountain biking practices, trail etiquette, and awareness. Not only do we reach out to mountain bikers, we reach out to those that do not mountain bike in hopes to make them aware of the presence of mountain bikers as we are sharing an enjoying our public lands. We work diligently to build and maintain high quality trails that are sustainable and accommodating to mountain bikers of all skill levels. NUMB always welcomes new members that want to hit the trails and RIDE with PRIDE!